Script update take immediate effects on all client machines. You can update tasks on all machines and even reboot them at the same time with just few clicks. Isn't that cool? Setup task by filling up the questionair style form. Easy to use for most users. Suitable for advance user who pursuing for full control on every single aspect. 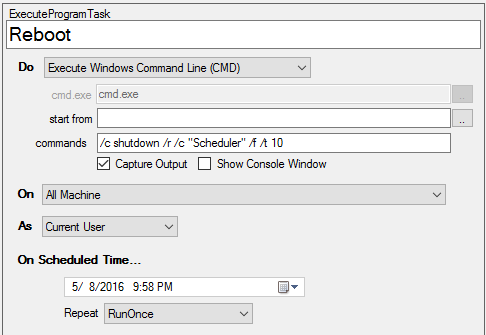 Scheduler scripts can be stored in local network server or cloud drives. 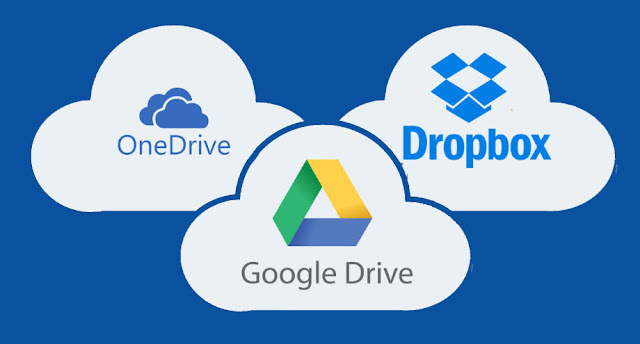 Scripts can be easily updated once you connect to your cloud drive anywhere around the world. 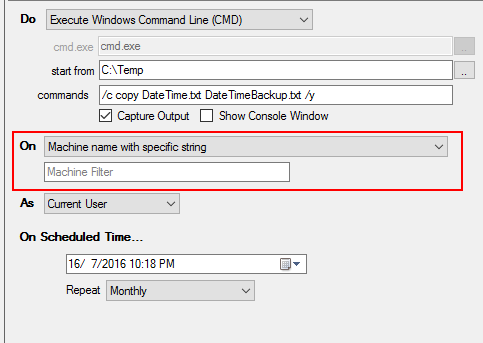 Trigger tasks based on scheduled time with multiple recurrence options: minutes, month, week, and days. 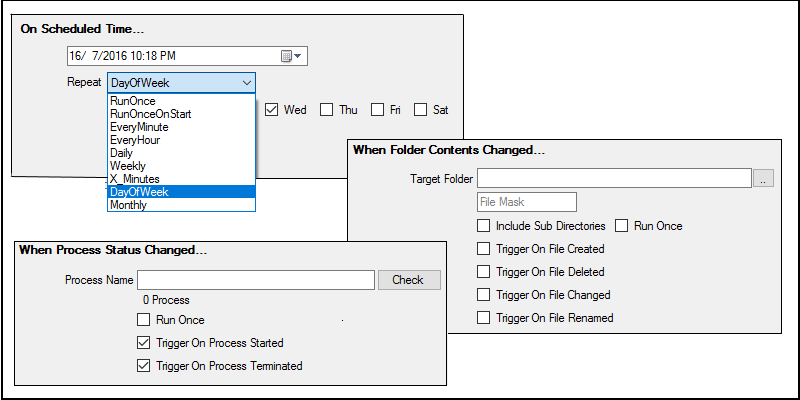 Besides, event based which trigger on folder changed, folder size, USB stick connected and process started / terminated let you take advantage to trigger right task at right timings. 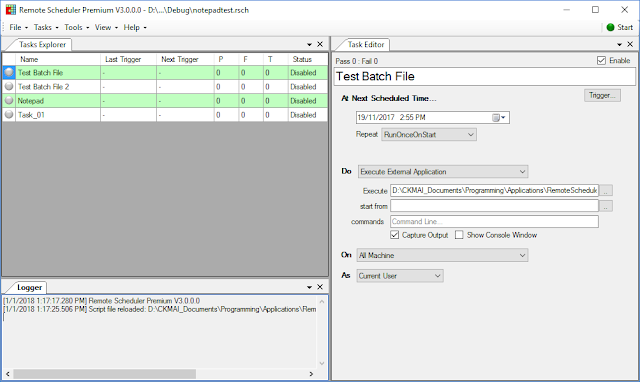 Assign dedicated task to machines based on machine name. 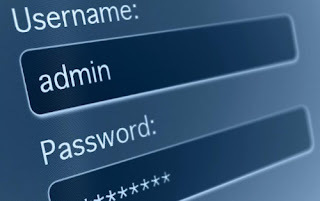 No worry about port forwarding and remote access to client machine since there is no need to access to client machine to modify scheduled task. 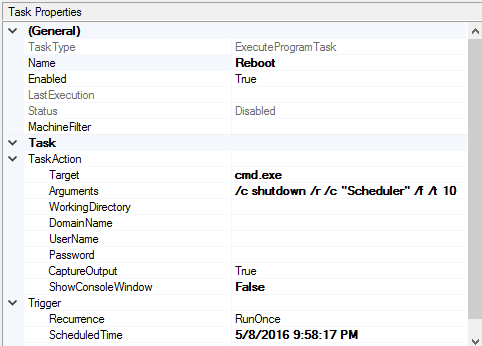 Password protected client to prevent Remote Scheduler being shut down by unauthorized user. Need higher security? 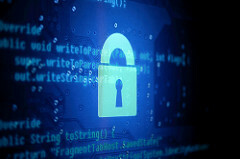 Script encryption keep your script file safe. 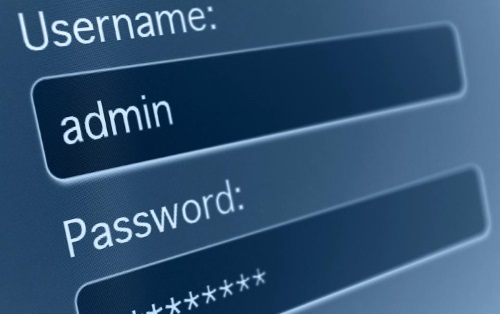 Only client with the authorized master key will be able to read your encrypted file. 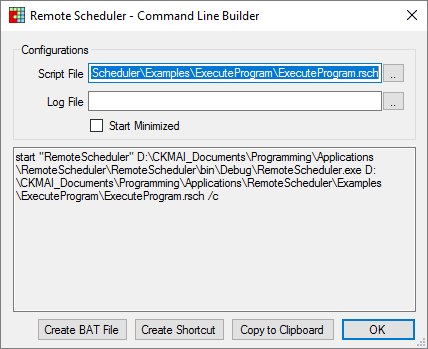 Launch Remote Scheduler from Windows BAT File / Windows Shortcut / Command Line.